Tracy Banghart is the author of the Rebel Wing trilogy (Alloy Entertainment – Powered by Amazon). The first book in the series, REBEL WING, tied for the Gold medal in YA Scifi/Fantasy in the 2014 Moonbeam Children’s Book Awards. Tracy writes both young adult fiction and picture books. She has a B.A. in English from Davidson College and an M.A. in Publishing from Oxford Brookes University. An Army wife and mother to a young son, she currently lives in Hawaii. She can be found online at tracybanghart.com and @tracythewriter. Jan Donley’s first young adult novel, The Side Door (Spinster’s Ink, 2010) was nominated for a Lambda Award, made the ALA Rainbow List, won best in general fiction from the Golden Crown Literary Society, and won Honorable Mention for the Eric Hoffer Book Award. Her visual art has received attention in publications such as Boston Magazine and Masque and Spectacle, an art and literary journal, and was included in a group show at Stewart Clifford Art Gallery in Provincetown, MA. Donley is a professor of writing and literature at Berklee College of Music in Boston. Find her online at jandonley.net and @JanDonley. Carrie Finison writes picture books. In 2015 she won the Marguerite Davol Scholarship for a manuscript in progress from the SCBWI New England chapter. Her writing has appeared in Babybug, Ladybug, Highlights, and High Five magazines, as well as in two anthologies, most recently Poetry Friday Anthology for Celebrations (March, 2015). Finison writes and develops fiction and nonfiction content for educational, textbook, and assessment publishers. Find Carrie online at www.carriefinison.com and @CarrieFinison. Trinna S. Frever writes middle grade and young adult fantasy fiction focusing on animals, gadgetry, and really cool libraries. She holds a bachelor’s degree in English and Psychology from the University of Michigan, as well as Master’s and doctoral degrees in English from Michigan State University. Frever worked as a professor for nearly twenty years and ultimately achieved tenure before turning her attention to fiction writing. Jenna Gavigan writes middle grade novels and picture books, as well as for television and film. She holds a B.A. in creative writing from Columbia University. Jenna is a working actress, having appeared on over a dozen television shows (usually crying), half a dozen movies (often crying), and on stage (sometimes crying, sometimes baton-twirling). She made her Broadway debut at age sixteen in the Sam Mendes-helmed revival of Gypsy opposite Bernadette Peters, and most recently appeared off-Broadway in the world-premiere of Straight, opposite Jake Epstein. Find Jenna online at iamjennagavigan.com, and Twitter and Instagram @Jenna_Gavigan. M-E Girard is the author of GIRL MANS UP (HarperCollins Children’s Books, Fall 2016), winner of the 2016 Lambda Literary Award, finalist for the American Library Association’s Morris Award, and on the Rainbow List. She writes young adult and new adult fiction about queer girls and was a fellow at the competitive Lambda Literary Writers Retreat for Emerging LGBTQ Voices in 2013 and 2015. Girard served on the board of directors of the Writers Community of Durham Region and is a member of SCBWI, Canada East Region. She has had short stories published in Plenitude, a magazine of Queer literature, and she is a registered nurse. Find M-E online at megirard.com and @ME_Girard. Ruth Horowitz writes for both children and adults. She is the author of six children’s books, including ARE WE STILL FRIENDS (Scholastic, 2017) illustrated by Blanca Gomez. Horowitz’s book CRAB MOON (Candlewick, 2000 & 2004), was listed as one of the 10 best children’s books of 2000 by the New York Times and was named an Outstanding Science Trade Book for Children. Horowitz also won third place in the 2012 fiction contest for Lilith, the Jewish feminist magazine, for her short story Letdown. A graduate of Hampshire College, Horowitz studied creative writing with John Irving. Find her online at ruthhorowitz.com, givinguptheghost.com, and @RuthHorowitz. Bill Konigsberg is the award-winning author of four novels. HONESTLY BEN, (Scholastic, 2017); THE PORCUPINE OF TRUTH (Scholastic, 2015), winner of the American Library Association’s Stonewall Book Award; OPENLY STRAIGHT (Scholastic 2013) which was the Sid Fleischman Award winner for Humor and finalist for the Amelia Elizabeth Walden Award; and OUT OF THE POCKET (Dutton, 2009) a Lambda Literary Award winner. Bill is the Writer-in- Residence at the Piper Center for Creative Writing at Arizona State University, and he coordinates their Your Novel Year online certificate program. Prior to writing novels, Bill was an award-winning sports writer and editor with The Associated Press and ESPN.com.He lives in Arizona with his husband, and the Labradoodles of Truth, Mabel and Buford.Find Bill online at billkonigsberg.com and @billkonigsberg. 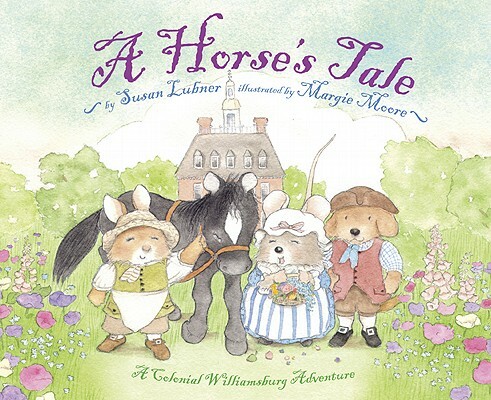 Susan Lubner is the author of the middle grade novel THE UPSIDE OF ORDINARY (Holiday House, 2012), and three picture books, A HORSE’S TALE: A COLONIAL WILLIAMSBURG ADVENTURE (2008); RUTHIE BON BAIR: DO NOT GO TO BED WITH WRINGING WET HAIR (2006); and NOISES AT NIGHT (2005), all published by Abrams Books for Young Readers. NOISES AT NIGHT, co-authored with Beth Glass, was featured on the Today Show as a “Best Book for Young Children.” Lubner’s shorter work has been published in Cricket Magazine and Highlights for Children. Susan is online at susanlubner.com. 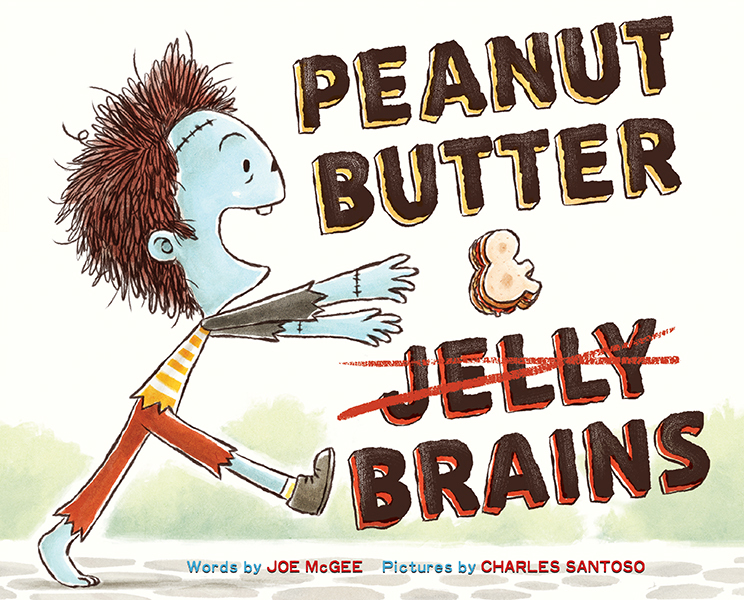 Joe McGee is the author of PEANUT BUTTER AND BRAINS, illustrated by Charles Santoso (Abrams, Fall 2015) as well as the forthcoming PEANUT BUTTER AND ALIENS (Abrams, Fall 2017). He is on the faculty of Sierra Nevada College’s Writing for Children and Young Adults low-residency MFA program, and teaches writing at Rowan University in New Jersey. McGee writes picture books as well as novels for middle grade readers. He is a graduate of the Vermont College of Fine Arts MFA program in Writing for Children and Young Adults as well as Rowan University Master’s Writing Program. He’s an active member of SCBWI and is online at joemcgeeauthor.com and @mcgeejp. Miriam McNamara is the author of the historical GLBTQ young adult novels THE UNBINDING OF MARY READE (Sky Pony Press, 2018), and WINGING IT (Sky Pony Press, 2019). Although she writes novels for young adults, she’s also been known to pen a picture book now and then. She earned a Master of Fine Arts in Writing for Children and Young Adults from the Vermont College of Fine Arts, where she won the Norma Fox Mazer award for an historical young adult manuscript work-in-progress. You can find her online at miriammcnamara.com and @McNamaraMiriam. Jessica Rinker’s debut picture book, WHAT GLORIA HEARD (Bloomsbury, 2018) is a biography of Gloria Steinem, illustrated by Daria Peoples. Jess is a developmental editor with Wild River Consulting and Publishing, and a freelance writer. She holds an MFA in Writing for Children and Young Adults from the Vermont College of Fine Arts. Jess writes picture books, middle grade, and young adult novels, and has been published in Ars Poetica and Curious Parents Magazine. Find her online at jmrinker.com and @jm_rinker. Lisa Rosinsky’s debut YA novel, INEVITABLE AND ONLY, is forthcoming from Boyds Mills Press in Fall 2017. She lives in Boston, where she is the 2016-2017 Associates of the Boston Public Library Writer-in-Residence. Lisa holds a BA in creative writing from Johns Hopkins University and an MFA in poetry from Boston University, and her poetry appears in journals including Prairie Schooner, Hunger Mountain, Measure, and 32 Poems. You can find her online at lisarosinskywrites.com and @LisaRosinsky. R.L. Saunders writes young adult and middle grade fiction. She lives and writes in the woods of Michigan while unschooling her youngest child. Saunders was Associate Editor of Key West, the Newspaper, where she wrote a well-received column for five years. She was Assistant Professor of English and Humanities at Northwood University, and developed and directed their writing center. You can find Saunders online at rlsaundersauthor.com and @rl_saunders. Cathy Schultz writes middle grade fiction. She has a PhD in History from New York University and is a History Professor at the University of St. Francis in Illinois. She wrote a syndicated newspaper column, “History in the Movies,” from 2004-2010, and her work has appeared in the Chicago Sun-Times, the Providence Journal, and the Seattle Post-Intelligencer. Find her online at cathyschultz.net and @Cathy_M_Schultz. Natasha Sinel is the author of the young adult novel, THE FIX (Sky Pony Press, 2015) which won the gold medal in the 2016 Independent Publishers Book Award for Young Adult fiction, and SOULSTRUCK, forthcoming from Sky Pony in 2018. She was Director of Marketing and Business Development at Showtime Networks for five years before leaving to begin her career writing young adult fiction. She has a B.A. in English from Yale University and an M.B.A. from the University of Michigan. Online you can find her at natashasinel.com and @natashasinel. Katherine Sparrow writes speculative fiction for middle grade and young adult readers as well as (very) quirky picture books. She was nominated for a 2012 Nebula Award for her novelette The Migratory Pattern of Dancers and has published short stories online and in various anthologies, most recently The Mostly True Adventures of Assman & Foxy in issue 17 of Shimmer Magazine. She is also the author of the self-published adult urban fantasy series The Faye Morgan Chronicles. A graduate of the Clarion West Writers Workshop, Sparrow serves on the jury of the Norton Award for best young Science Fiction and Fantasy. Visit her online at katherinesparrow.net and @Katie_H_Sparrow. Nicole Valentine writes young adult and middle grade fiction. A graduate of the Vermont College of Fine Arts’ Writing for Children and Young Adults program, Valentine lives outside Philadelphia, where she writes full-time and teaches at the Highlights Foundation. Her short story, “The Weeping Beech,” can be found in Oermead Press’ anthology, Chester County Fiction. Nicole was the Chief Technology Officer of Figment.com, an online writing and reading network for teens, acquired by Random House in 2013. Find her online at NicoleValentineBooks.com and @nicoleva. Tanya Valentine is the author of MAKE ROOM FOR LITTLE TACO TRUCK, a picture book forthcoming from Schwartz & Wade/Random House in 2018. She writes picture books, chapter books, and middle grade novels. She is an active member of SCBWI and the Atlanta Writer’s Club and is the author of the self-published picture book about interracial adoption, ALL BEARS NEED LOVE. Valentine can be found online at tanyavalentine.com and @TaynaValentine.